Private Battle is a multiplayer mode in Splatoon and Splatoon 2. Private Battle allows groups of 2-8 friends to play together in customized matches, where the host selects the mode and stage. It was made available in Splatoon as part of the Version 2.0.0 DLC. Private Battles do not reward players with points and players' ranks will not be affected. Private Battles can have any number of players from two to eight. The host can create even battles (such as 1v1 or 4v4) or uneven battles (such as 1v4 or 3v2). However, there can only be up to 4 players per team, and the host cannot assign everyone to the same team. Lobbies created with Private Battle can only be joined by the host's Wii U friends and their Wii U friends. The host can set a 4-digit password for the lobby, so that uninvited friends cannot join. The host of a Private Battle chooses the stage and mode that will be used. There is also a random stage option. All stages and modes are available, and DLC stages/modes are added as soon as they are released. Players get 60 seconds to ready themselves in the lobby after teams have been selected before the match starts. Like with Squad Battles, players can change their equipped weapon and gear in-between matches without having to leave the lobby and teammates' weapon selections are shown. It is possible to create a private match using 8 Wii U consoles connected via a single router that is connected to the Internet. No Secondary Abilities — When ON, secondary gear abilities are disabled. Use amiibo Gear — When ON, players can use gear saved to an amiibo. Use amiibo User Names — When ON, players can use the user name saved to an amiibo. Reset Options Every Match — When on, camera options and player settings reset every match. Version 4.1.0 added the ability to set voice chat on or off when creating a room in Private Battles without having to use the Online Lounge function, where voice chat still goes through the Nintendo Switch Online mobile app . During Splatfest, the only options in the Battle Lobby mode selection screen are Splatfest Battle and Private Battle. Private Battles are not interrupted by Inkopolis News, unlike other battles. However, if a player disconnects from a Private Battle, the latest missed news announcement will appear. 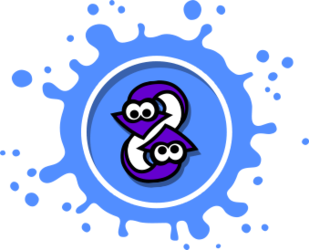 If the host of a Private Battle is having a Splatfest, the Ink color set for each match will be the host's Splatfest color set. If the player scrolls over certain keys in the password selection screen, a simplified version of Calamari Inkantation from Splatoon's final boss can be played. In both the Japanese and English versions of Splatoon, the two teams in a Private Battle are called "Alpha Team" and "Bravo Team". When playing with less than eight players, the squids at the top will be not visible, except for the outline. This page was last edited on 20 February 2019, at 19:47.